Apparently, it might seem, only the Google Mail or Gmail web interface is changed along with a few minor modifications, but it isn’t so. Apart from revamping the years old user interface, Gmail has also introduced tons of features on Gmail, making it even more difficult for the competitors to win the game. 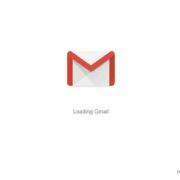 A few of the changes are evident on loading the new Gmail web version for the first time, while the others can be revealed by spending some time with the new Gmail web. Without further discussion, let’s find out the new features, which are available for the Gmail web users. The confidential mode is a great feature, which will allow the sender configure deleting the message after the expiry date, set by the sender. Though, the mail will be sent in form of a link, rather than a regular mail. But all the contents will be displayed to the recipient in the same way, it is shown within the regular Gmail client. Do you send private messages to others on Gmail? With the new Gmail, you can stop the recipient from copying, downloading, printing, or forwarding the mail, which is indeed a great feature. You can set the permissions in a better way; if said in a nutshell. It will be great for business users, who send private emails to the clients or business partners. 2-factor authentication is another one among the new Gmail features, which can stop the recipients from reading an email unless a passcode sent through an SMS is entered at the time of reading it. This feature is going to work in the Gmail confidential mode and will be great for users, who has the habit of sending emails to the wrong personal mistakenly. Gmail now will offer an ‘offline’ version, which can help you to read emails without internet. What will happen is that the emails will be synced, once you connect to the internet and you can read them even the internet is not connected. This feature will surely be handy for a lot of users out there, who have an unstable internet connection. Mails from pesky mailers are something, which most email users want to get rid of. But the matter goes worse, when the notification dashboard gets filled up with those unwanted mails. But with high priority notifications, the users will get email notifications, which are urgent. I am sure, it is going to be a great and smart feature for Gmailers. Gmail will most probably use the AI engine to find the emails, which are important for a particular recipient. The Gmail app already has support for smart reply feature, which allows the user to send a short email, in reply to certain messages. The short messages can also be instantly edited. Now, this feature is also available for the Gmail web version, and the Gmail smart reply feature is going to be a great feature for those, who don’t love typing a lot. 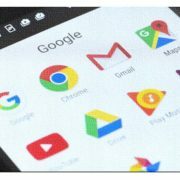 The Google Tasks, which had been there for years, will now be accessible directly from Gmail, apart from other relevant features like Google Keep, for notes, Google Calendar for reminders and other tasks. This is really handy for almost all the users, and the users will not have to leave the comfort of Gmail and move to a different tab, in order to access those services. Though the feature was already available in ‘Inbox’ by Google, the feature to open attachments directly, without opening the mail is not available on the Gmail new layout. Though the user will have to choose the ‘Default’ view, in order to get hands on this new Gmail feature. Users loving the ‘Compact’ view though, are out of luck. The feature seems to be self-explanatory, where the user can snooze the mails to give reply later, or read them later, with the snooze feature. 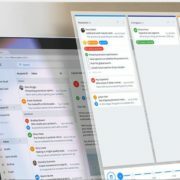 This feature is going to be great for users, who want to keep away work emails at the time of chilling out with the friends and family members. The nudging feature is yet another new feature, which will be liked by most users, who forget giving a reply to emails. With the nudging feature, the user will get a notification to give a reply to certain emails. Google will deploy machine learning and artificial intelligence to find out, which emails are important, and requires a reply from the recipient. Mails having questions, will also be on the nudge list, lest the user forgets to give a reply to it. Now, a new feature will inform Gmail to add certain mails from a mail sender directly to the Spam folder, which will surely be handy for most users. This feature is going to be great, as the user will not have to find the ‘Unsubscribe’ link, within a mail to unsubscribe from that mailer. Sending unwanted mails directly to the Spam folder will be a little handy though. Though the feature is not completely new, but with the new and improved Gmail, the mails, the possible phishing mails will be colored grey, yellow or red automatically, with increasing risk factor of the emails. The new Gmail web interface itself offers a number of the power packed features like deleting, archiving, marking an individual email as read directly, instead of marking the emails and do the same activities from the toolbar. 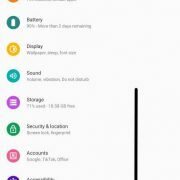 Best these features, there are a couple of other new features, which the users will surely like, once they start using the new Gmail web interface. Which among the following is your favorite? Let me know about it, in the comment section down below.